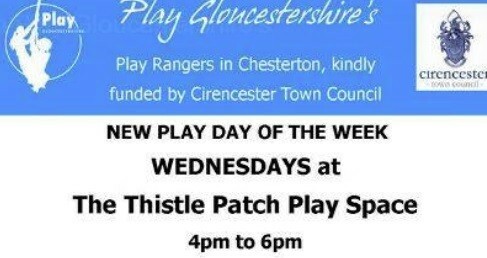 Play Gloucestershire Play Rangers will be at Thistle Patch holding free play sessions. Everyone is welcome! Activities take place outdoors in all weathers and are open access. This means there is no registration, children are free to come & go as they please. Under 7s are welcome and should be accompanied by a parent or carer.